Casual glass collectors and enthusiasts TURN BACK NOW. For there is going back after experiencing the devastating beauty of Alfredo Barbini's mid-century bird sculptures--the intricacy, the brilliant colors, the sweep and grace of the lines. 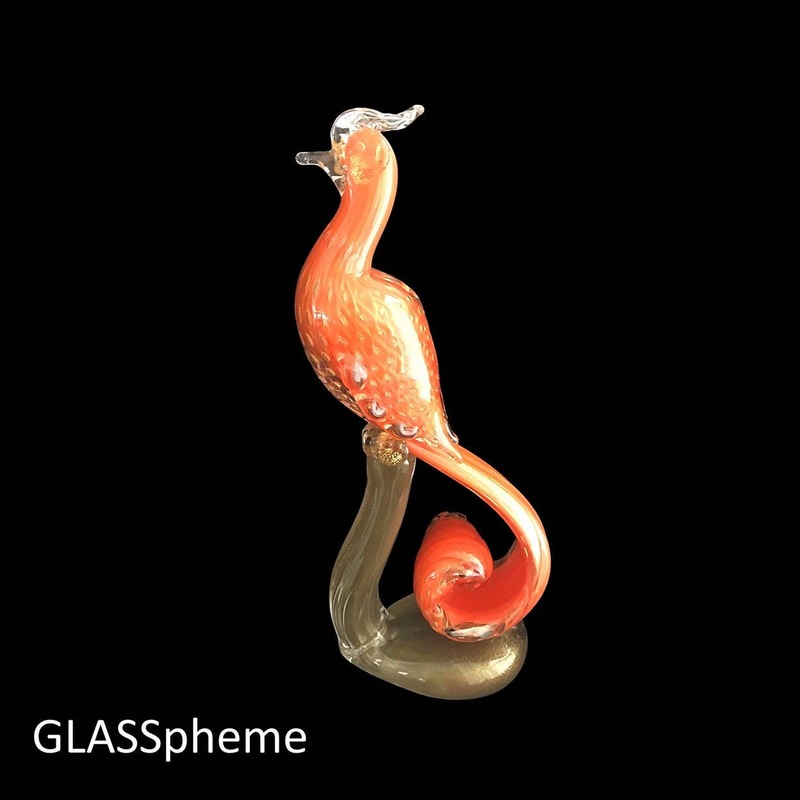 The bird body and tail is done on an orange glass over lattimo base encased in gold aventurine-strewn clear bullicante glass. 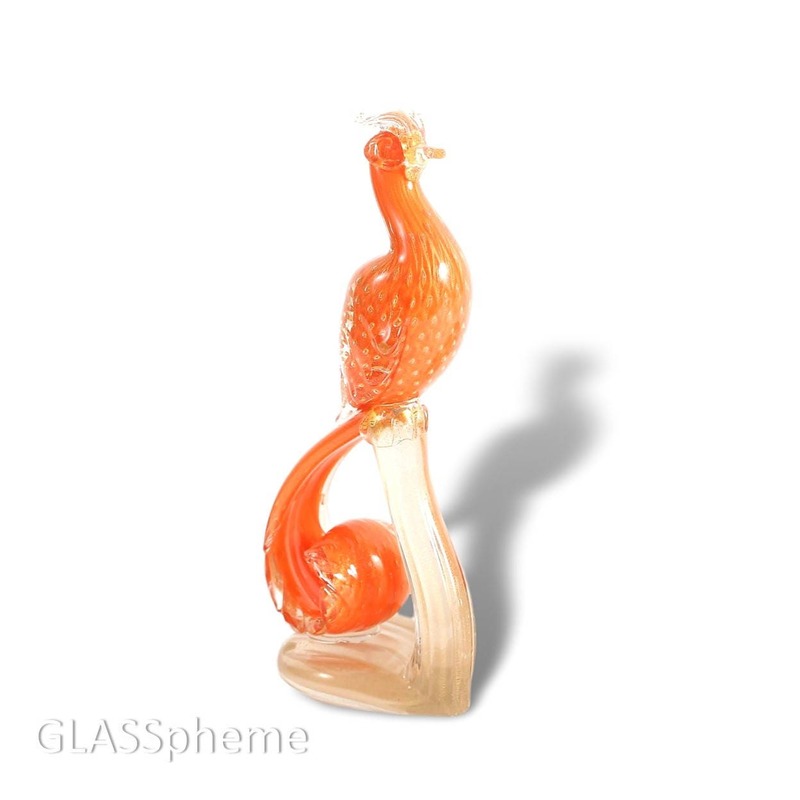 Sparkling gold aventurine graces the feathers and stand. This extraordinary piece will captivate you. Consider yourself forewarned.